Suspected billionaire kidnapper, Chukwudumeme Onwuamadike, alias Evans, has maintained his allegation that he was tortured by police to make his confessional statement. He countered the claim by the police that his statement was obtained under a fair atmosphere and that the statement could have been taken in the presence of a lawyer, if Evans had hired one. 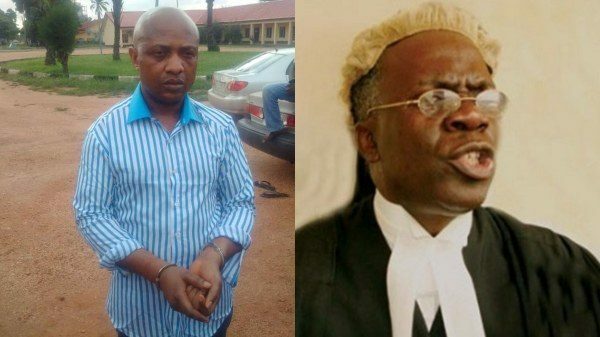 At the Friday proceedings in his trial before Justice Adedayo Akintoye at the Lagos State High Court in Igbosere, Evans said human rights lawyer, Mr Femi Falana (SAN), once came to the police station to meet with him, but the police prevented the meeting by locking him (Evans) up in a toilet. Evans said immediately after he was arrested by the police in 2017, his wife, Uchenna, contacted the human rights lawyer, but upon the lawyer’s visit to the police station, he was told that he (Evans) had been taken out for investigation. Evans claimed he overheard Falana and the Lagos coordinator of the Inspector-General of Police Response Team, one CSP Phillip, exchange pleasantries upon the lawyer’s arrival at Phillip’s office.